ROLE MODEL TOUR ! Kicks off Top of the Year! 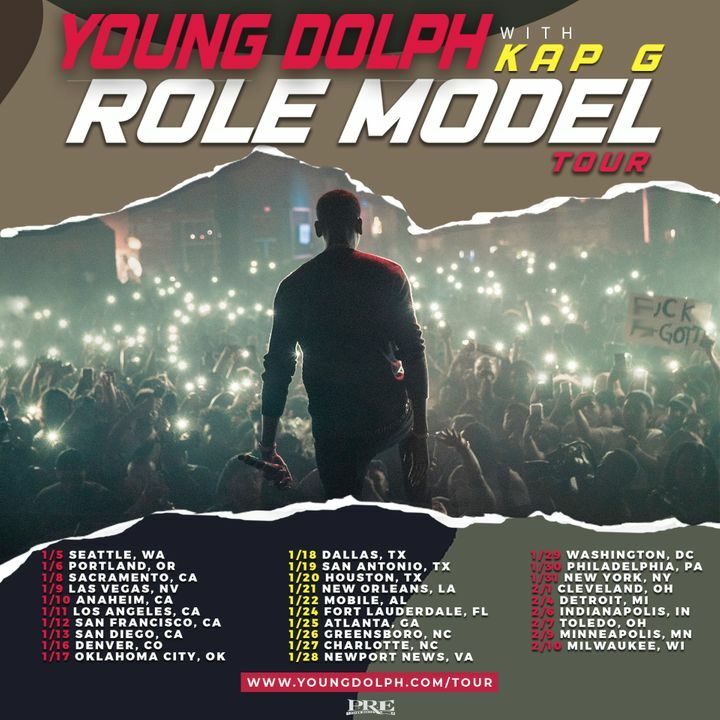 I cant' wait Go get your tickets now... www.youngdolph.com/tour ! Which city are you gonna pull up on me in? O! exclusive meet and greet merch packages available too! Did not expect him to be that good. He was solid. He didn't just let the record play and sing the curious. Like $ki Mask The Slump God. Would definitely see him again.